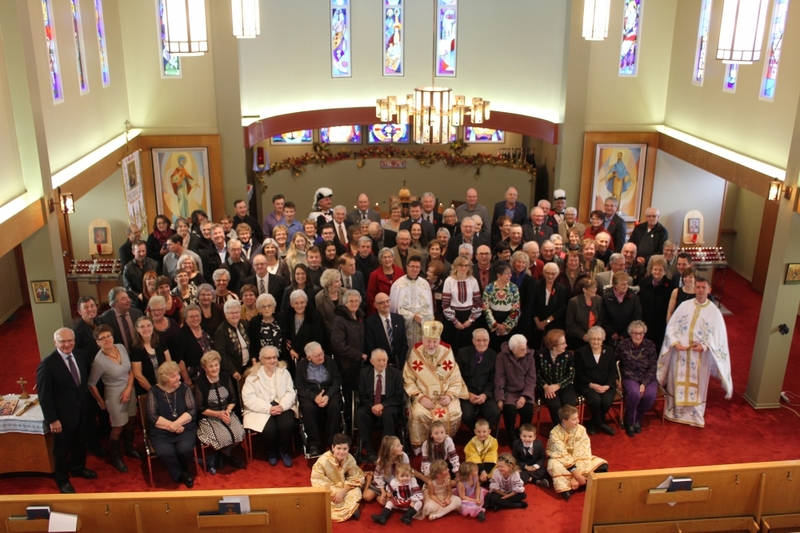 St. Mary’s Ukrainian Catholic Church - Russell MB, 50th Anniversary Celebration 1967-2017. 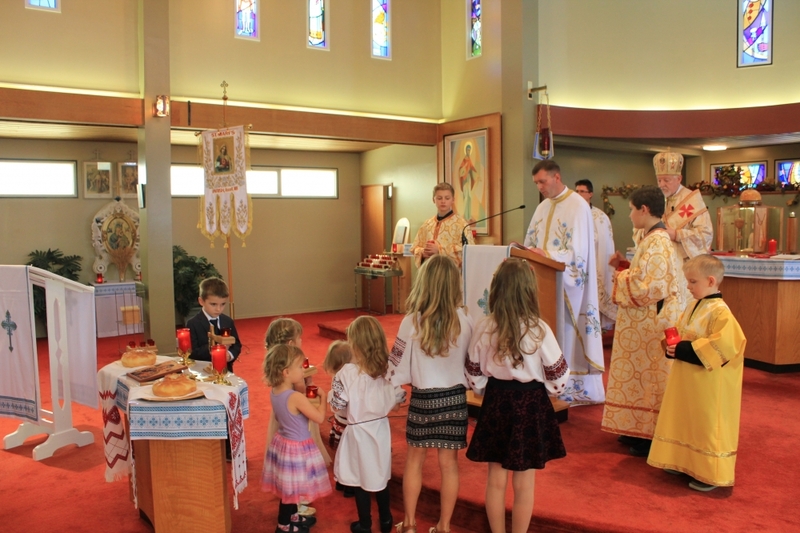 On Saturday, November 4th 2017, we the parishioners of St. Mary’s celebrated a beautiful Divine Liturgy, celebrated by Bishop Peter Stasiuk, C.Ss.R. of Melbourne, Australia, with our parish priest Fr. Mykhaylo Khomitskyy and Fr. Yaroslav Strukhlyak from Gilbert Plains! 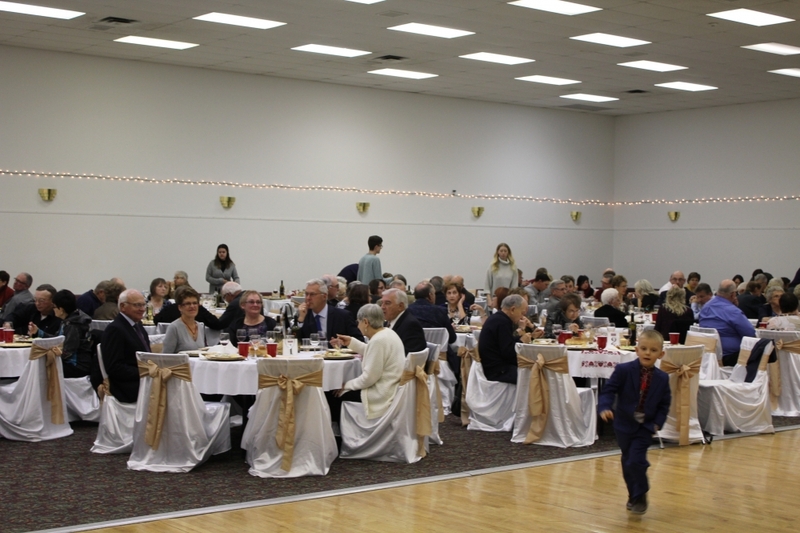 After the Divine Liturgy we gathered at the elegantly decorated community hall in Russell for a lovely banquet and program. Bishop Bryan Bayda C.Ss.R. of Saskatoon, arrived just in time to join in the emcee duties for the evening. 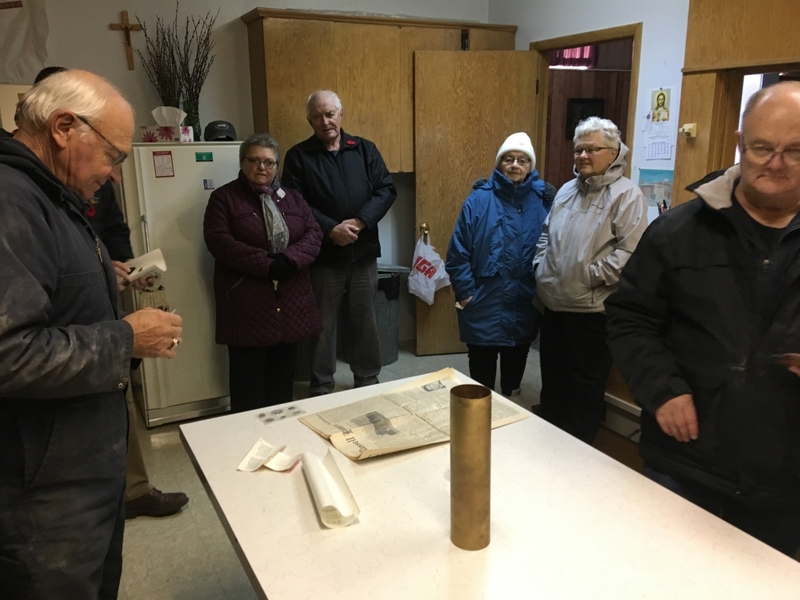 The contents of a time capsule, which had been enclosed behind the cornerstone in 1967, was displayed! Many group and family photos were taken, awards and presentations were given out and St. Mary’s children presented a musical gift for the celebration. Some lovely young ladies did a Ukrainian dance. Bishop Peter spoke about Vibrant Parish initiative of our Patriarch Sviatoslav Shevchuk and the Synod of Bishops. He also recounted the building of St. Mary’s church 50 years ago! As Parish President, my own message mostly pertained to the church, it’s importance in our lives yesterday, today and in the 50 years to come! When I said that, we have an exemplary parish priest, who works so hard, to guide his parishioners to the reward of heaven; the crowd responded with enthusiastic applause. Once again we are most grateful to you Fr. Mykhaylo!!! Many thanks to the clergy who attended the celebration, the members the anniversary committee who worked diligently to organize such a successful event! Also thanks to all of the parishioners who helped so much! Even though the weather did not cooperate, but when you have Fr. Mykhaylo, who streamed the entire event live, nearly one thousand people viewed the Divine Liturgy and the whole celebration program live online not only in Canada but also in Ukraine at Fr. Mykhaylo’s home parish! Wow!!! We are grateful for God’s blessing for our parish, for the very inspiring Divine Liturgy and the evening that should invigorate the next 50 years! !